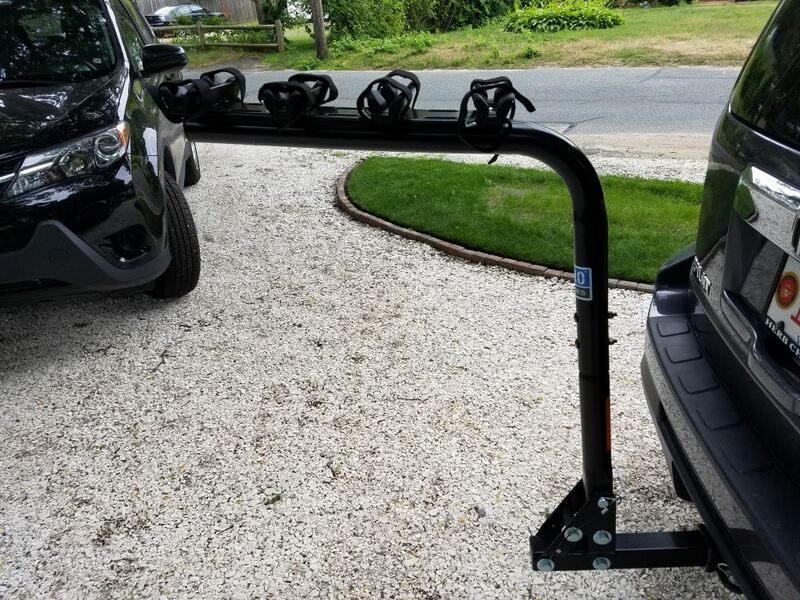 This economically priced, single-arm bike carrier lets you access the rear of your vehicle by simply pulling a pin to tilt the rack down. 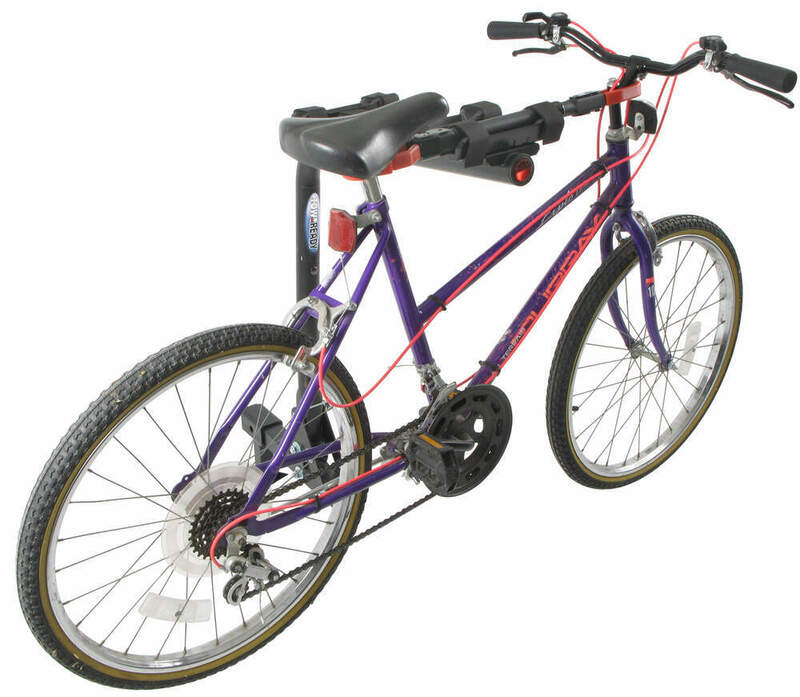 Heavy-duty straps secure your bikes in the rubber-padded cradles. 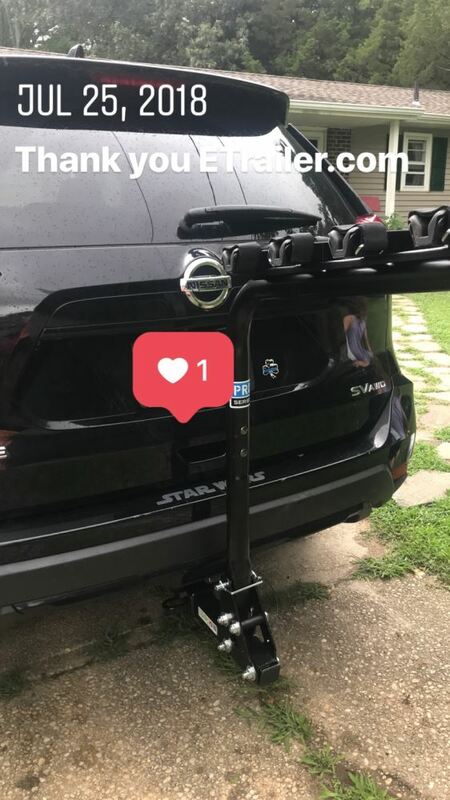 Anti-rattle hitch pin holds the rack steady. 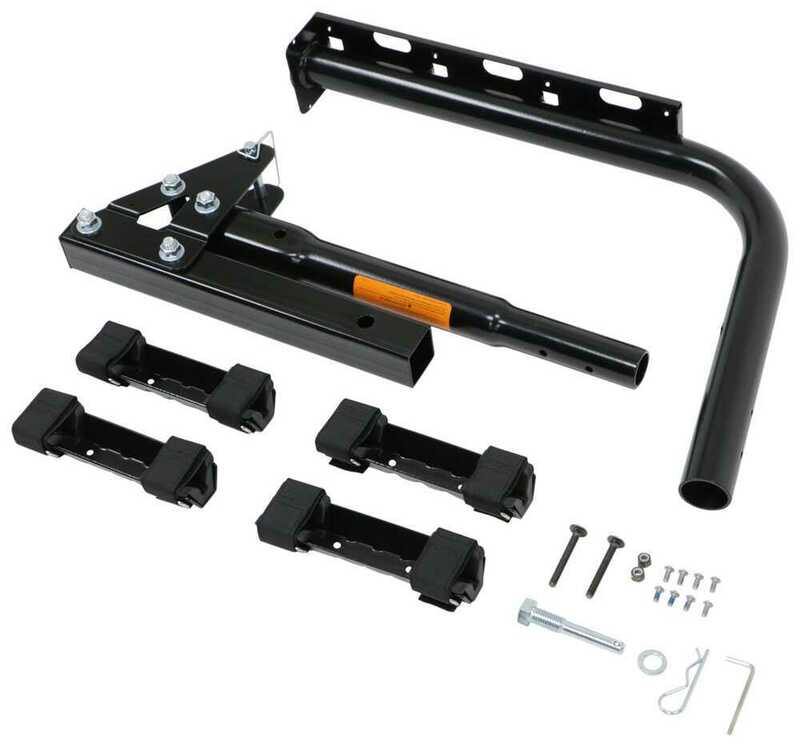 Call 800-298-8924 to order Reese hitch bike racks part number 63124 or order online at etrailer.com. Free expert support on all Reese products. 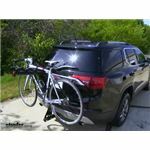 Guaranteed Lowest Price and Fastest Shipping for Reese Eclipse 4 Bike Rack for 2" Hitches - Tilting. 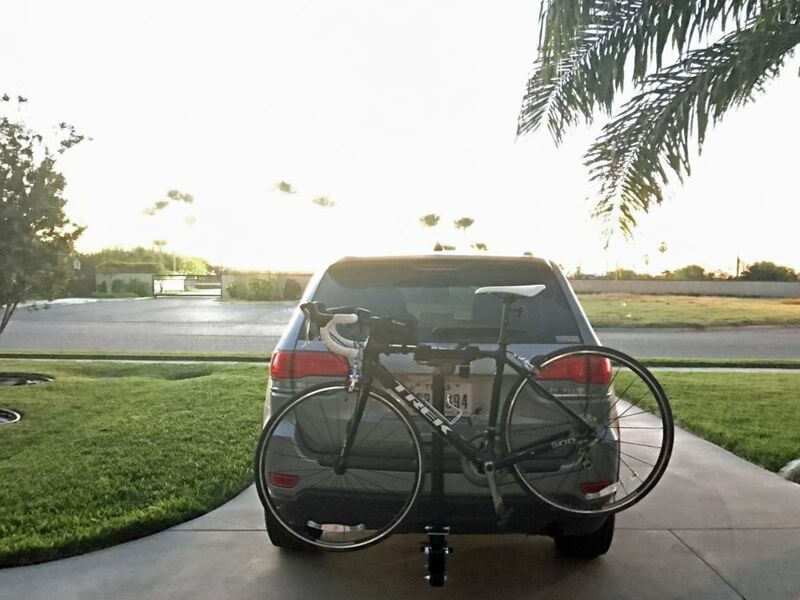 Hitch Bike Racks reviews from real customers. 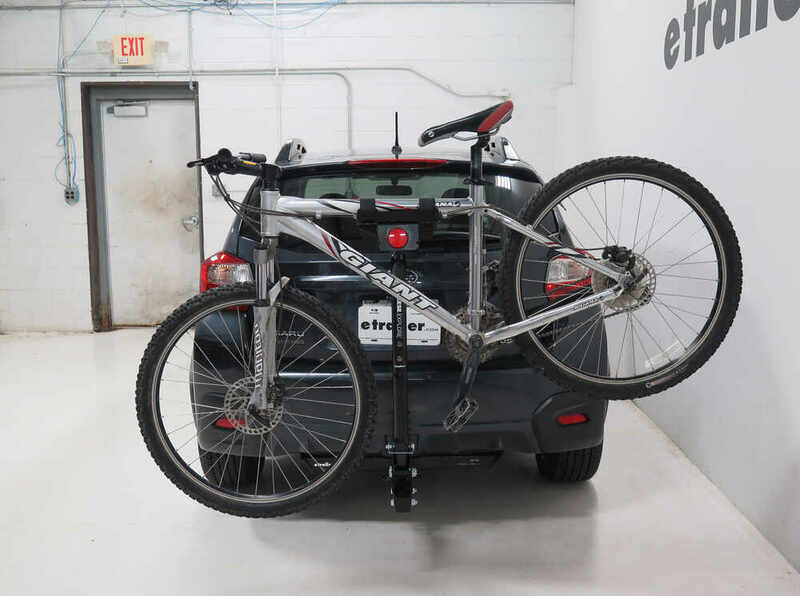 This economically priced, single-arm bike carrier lets you access the rear of your vehicle by simply pulling a pin to tilt the rack down. 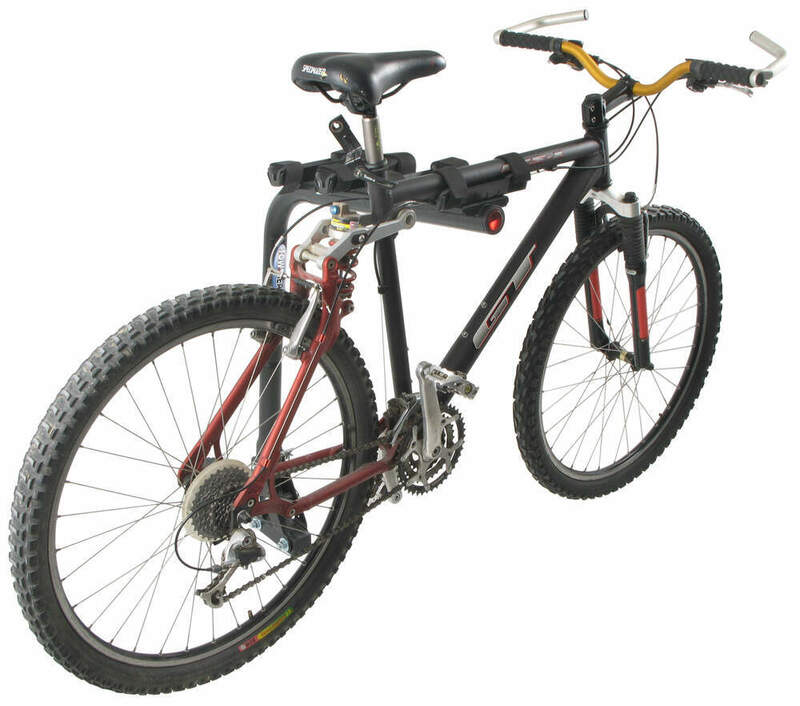 Heavy-duty straps secure your bikes in the rubber-padded cradles. 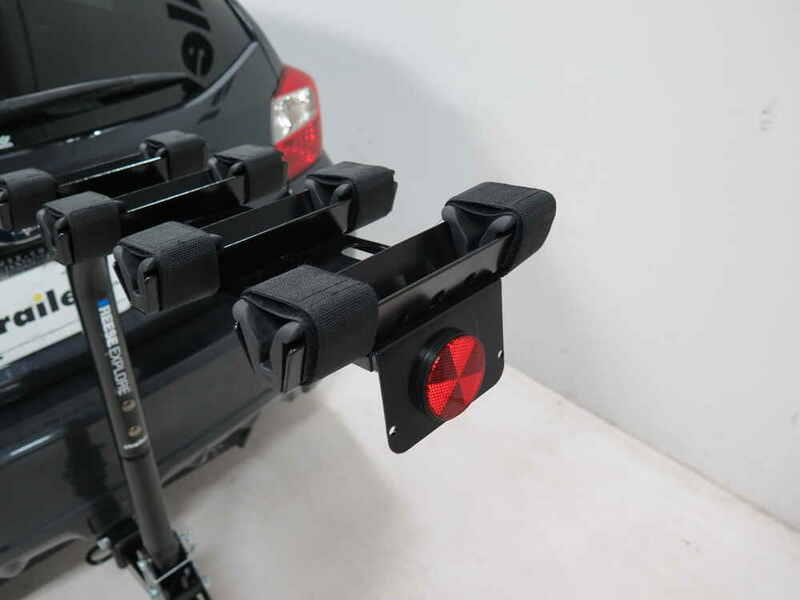 Anti-rattle hitch pin holds the rack steady. 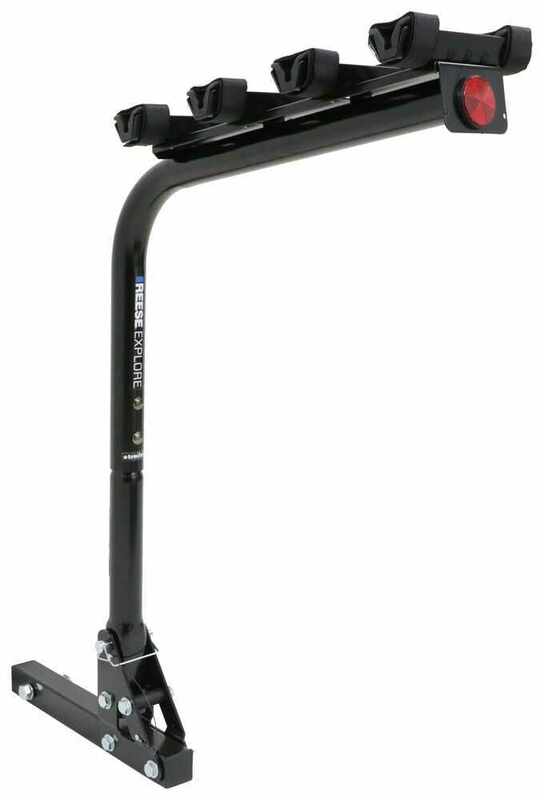 Maximum bike top tube diameter: 2-1/4"
Distance from center of hitch pin hole to upright bar: 8"
Distance between cradles (center to center): 5-3/4"
Note: A bike frame adapter bar (sold separately) may be required to mount certain bikes or keep your bike level on the rack. 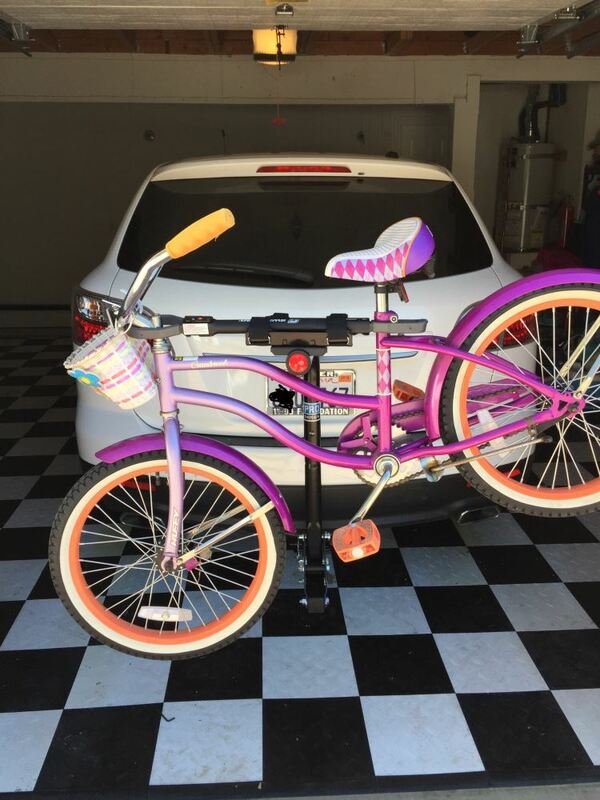 Most women's, children's, or alternative frame bicycles will require a bike adapter bar. Here on our test course, we'll start by going through the inaudible 00:00:02. This is going to show us the side to side action. This simulates turning corners or evasively maneuvering. Once we get to the full speed bumps, we'll see the up and down action. 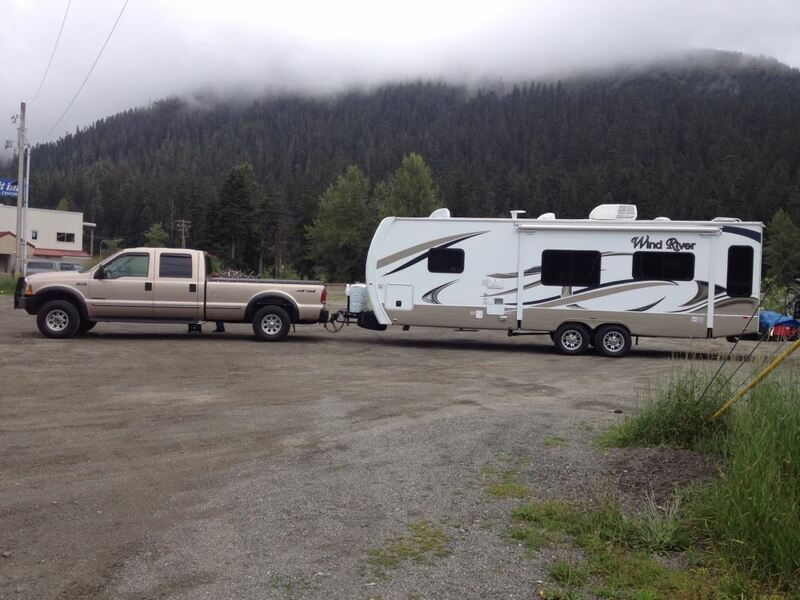 This will be just like driving in and out of a parking lot, parking garage, or driveway. 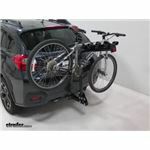 Order: RelevanceNewestRating - High to LowRating - Low to High This economically priced, single-arm bike carrier lets you access the rear of your vehicle by simply pulling a pin to tilt the rack down. 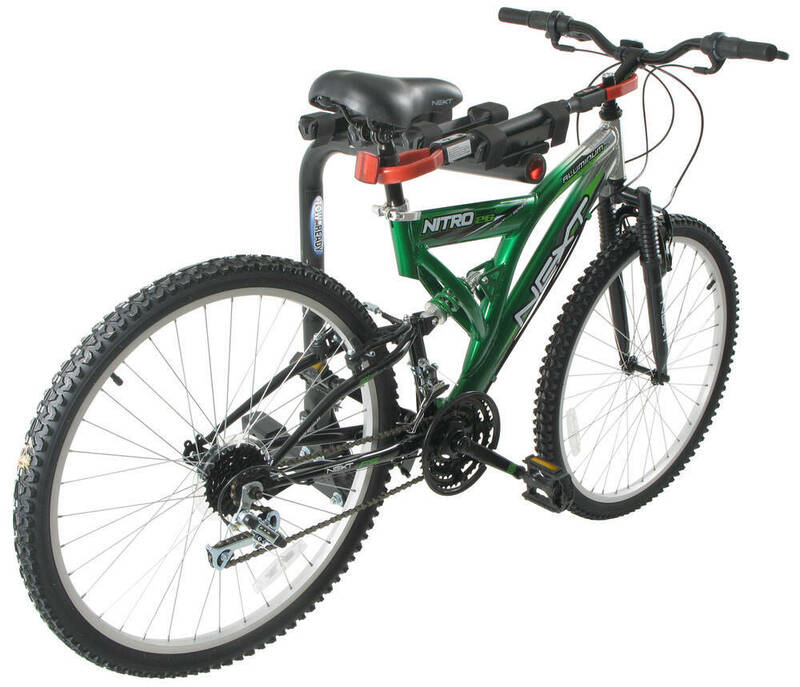 Heavy-duty straps secure your bikes in the rubber-padded cradles. 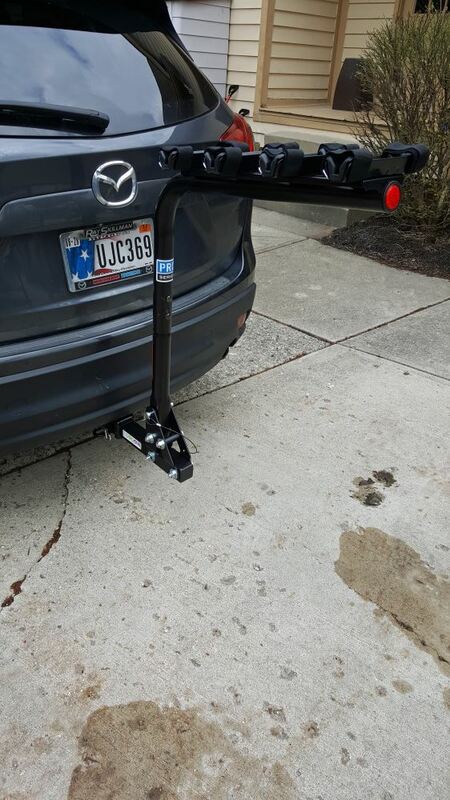 Anti-rattle hitch pin holds the rack steady. 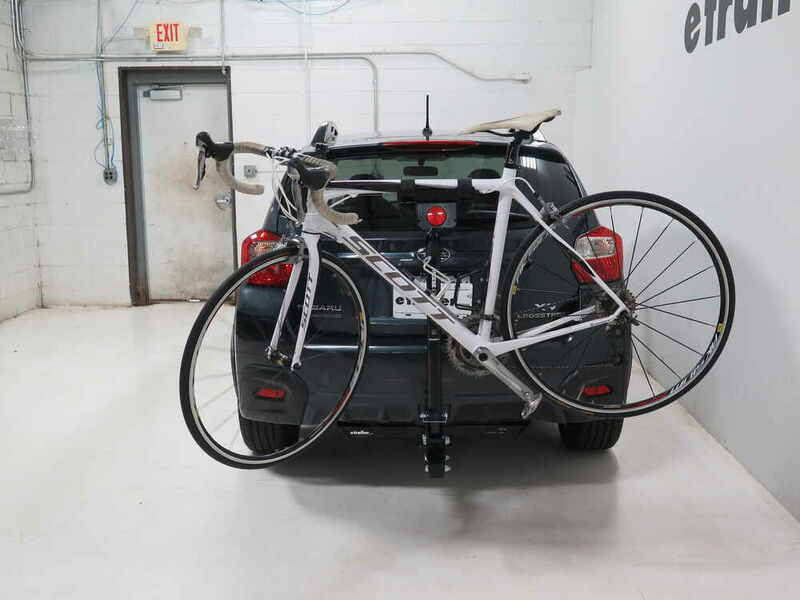 Just a follow-up note concerning the bike rack: it is the easiest, most efficient bike rack that I have seen - simple, inexpensive, and faster loading than any of those of my friends. They envy this one. 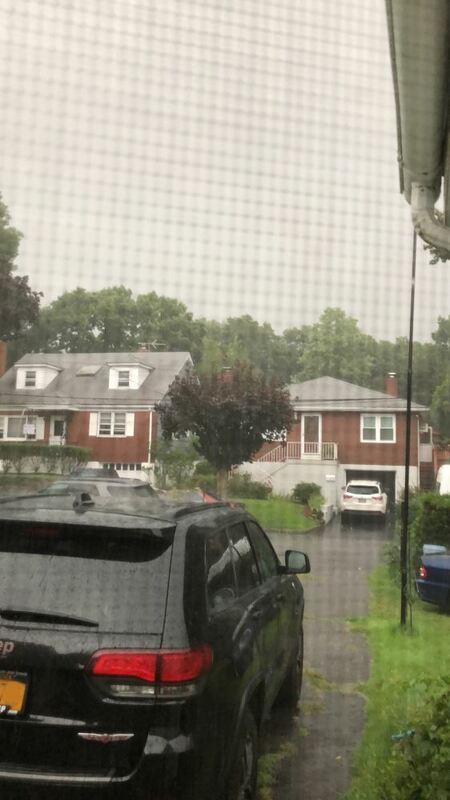 still going. safety attachment for the tilt release pin didnt last long but not a problem. 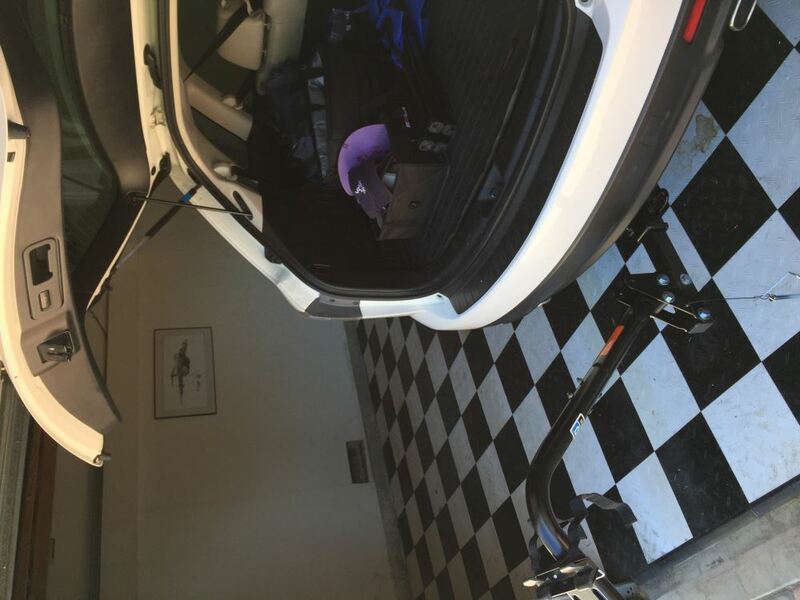 mounts and dismounts easily, hook and loop straps still work well. 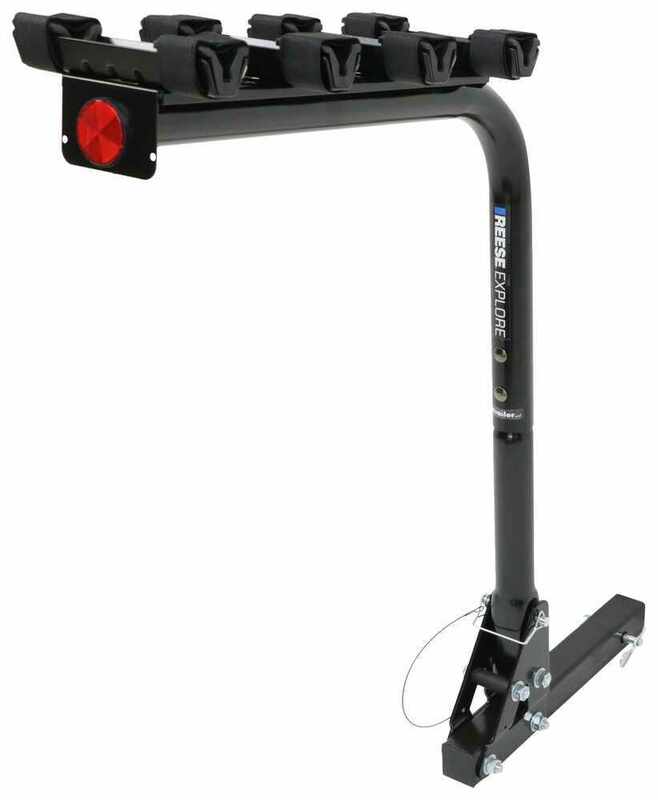 maybe side mounted reflectors/labels would be nice as it protrudes quite a bit and is somewhat unobtrusive when no bikes are mounted on it. still a happy customer. 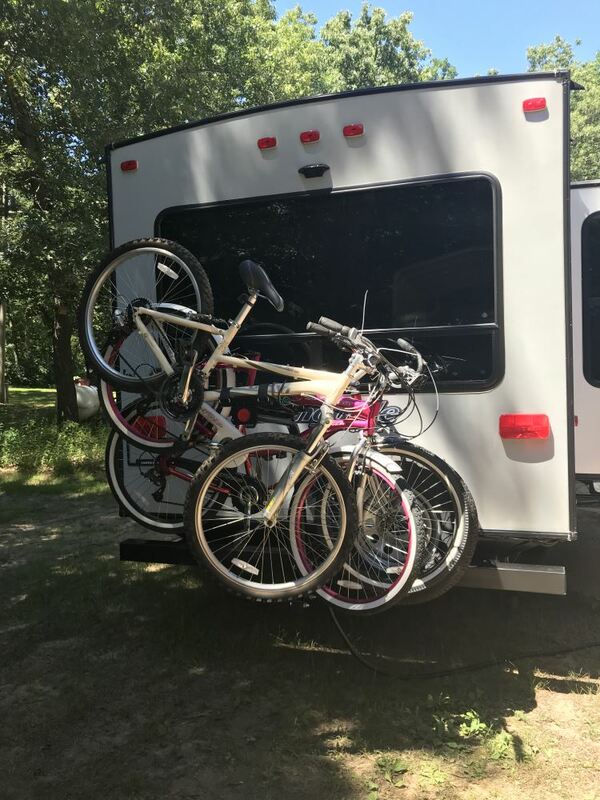 We purchased this bike rack last year and mostly use it on the back of our camper when we travel. It is an excellent product I never worry that it is doing its job. 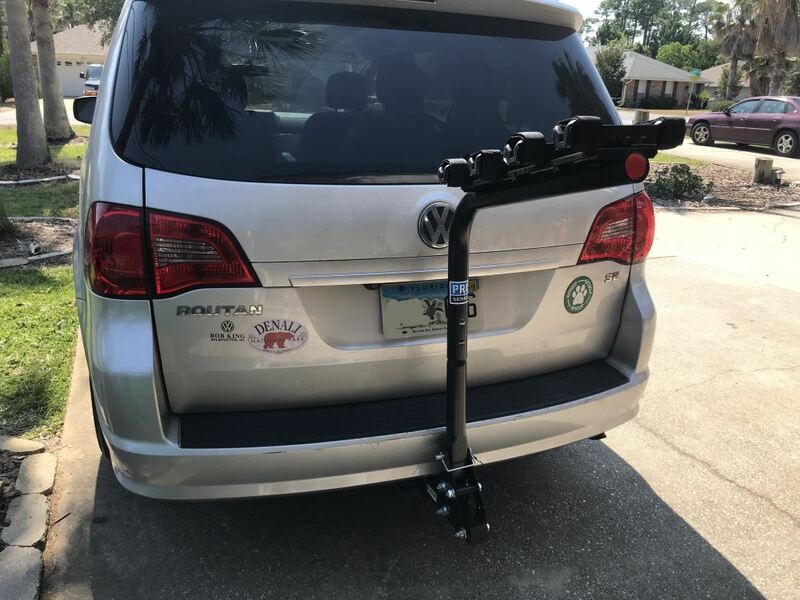 I still love the rack... 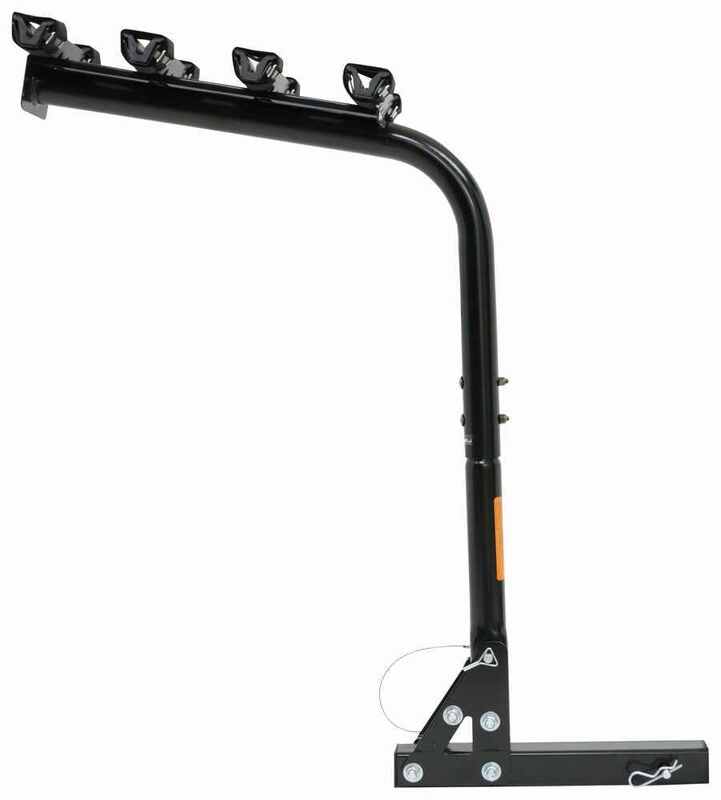 I read some reviews that were critical of the bikes moving and the rack wobbling in the receiver.. 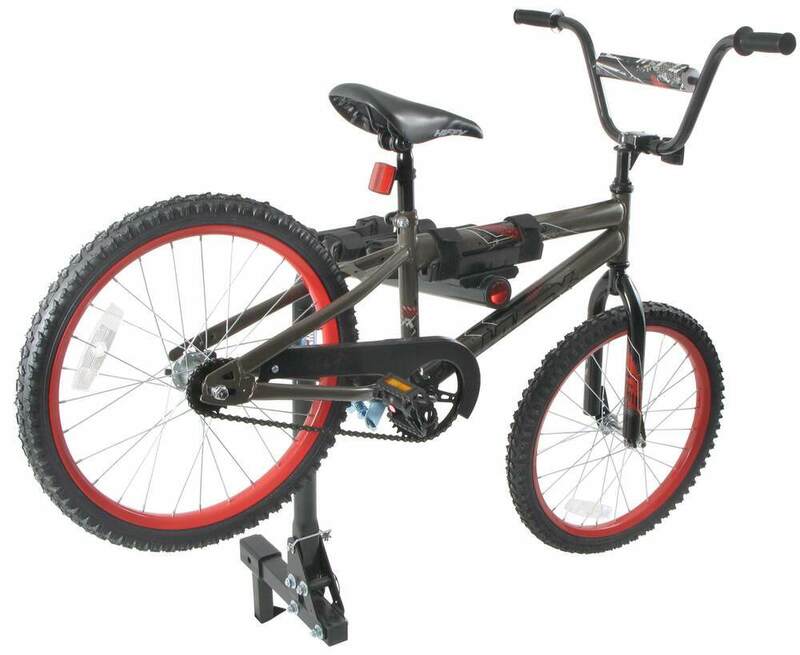 I think they are kinda silly... Its a great bike rack for the price..!! 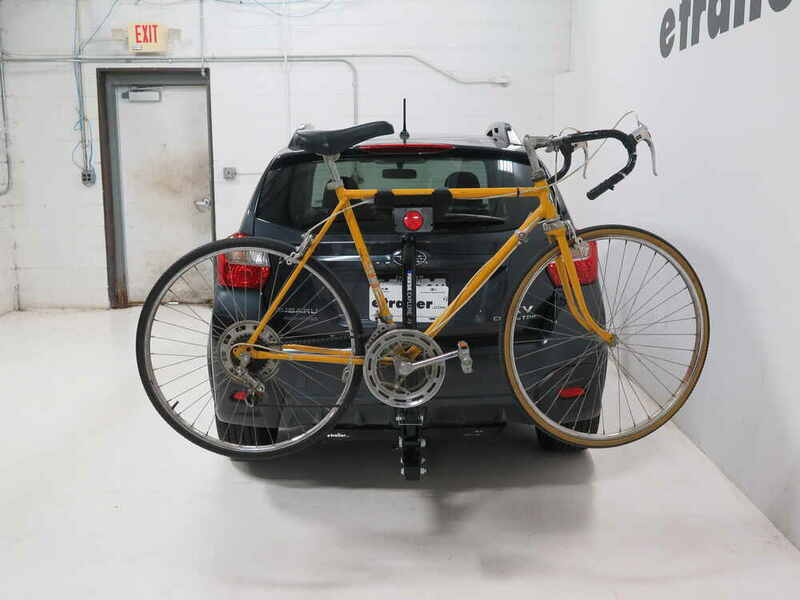 Still love the bike rack a year later. Did the lock become part of the package? 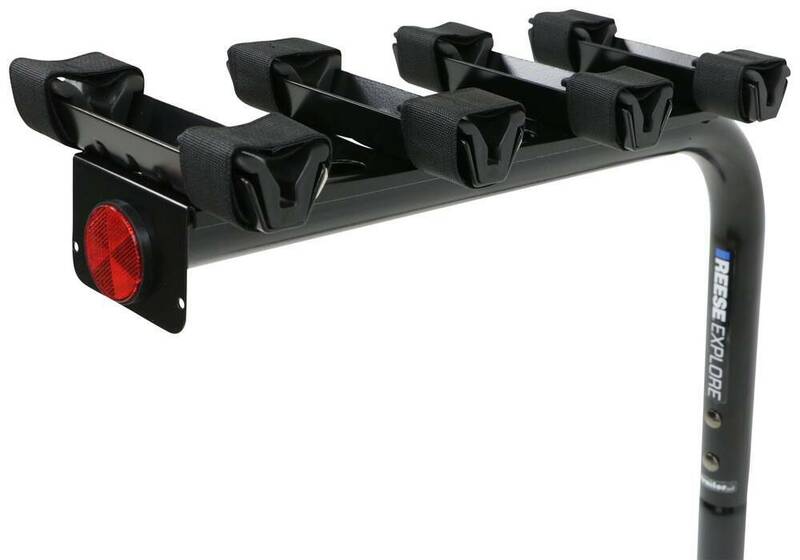 I have recommended this rack to many people. 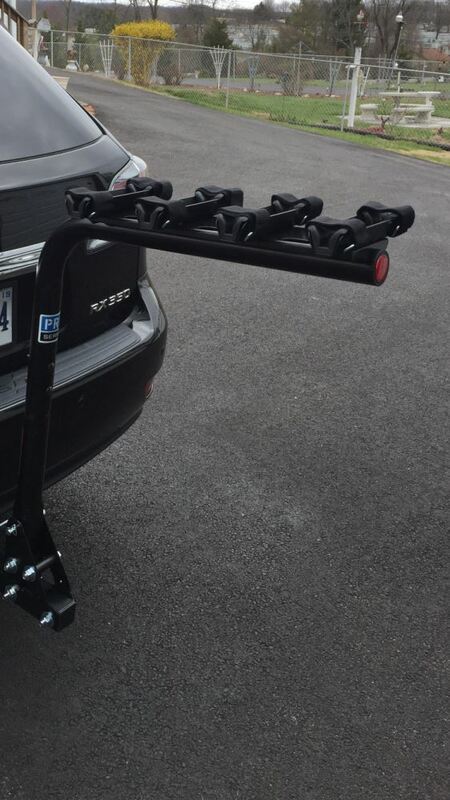 Thanks for your follow up and feedback, a lock is not included with this bike rack but is listed as a related product. 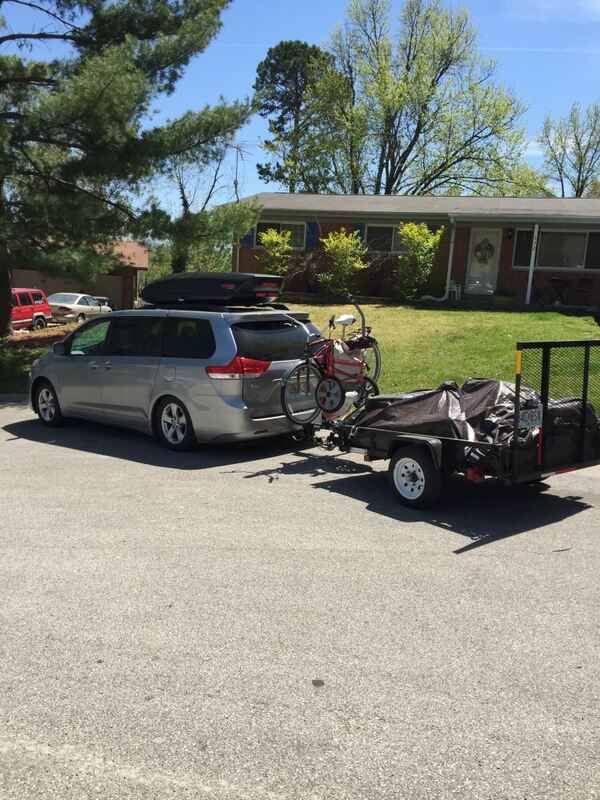 We repeated our trip from a year go and the bike rack still works very well. 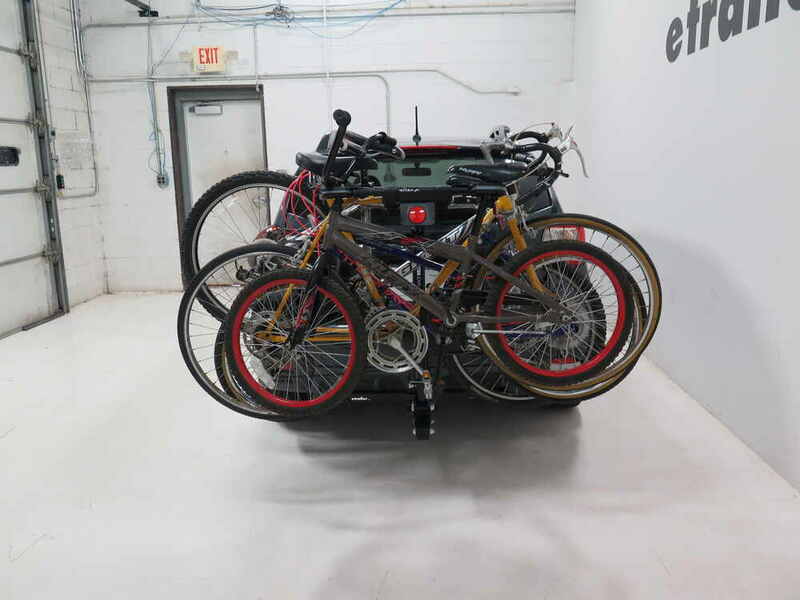 We did experience some spacing issues with a fat tire bike, but learned that if we removed the pedals and altered the positions of the bikes when loading, everything fit well. 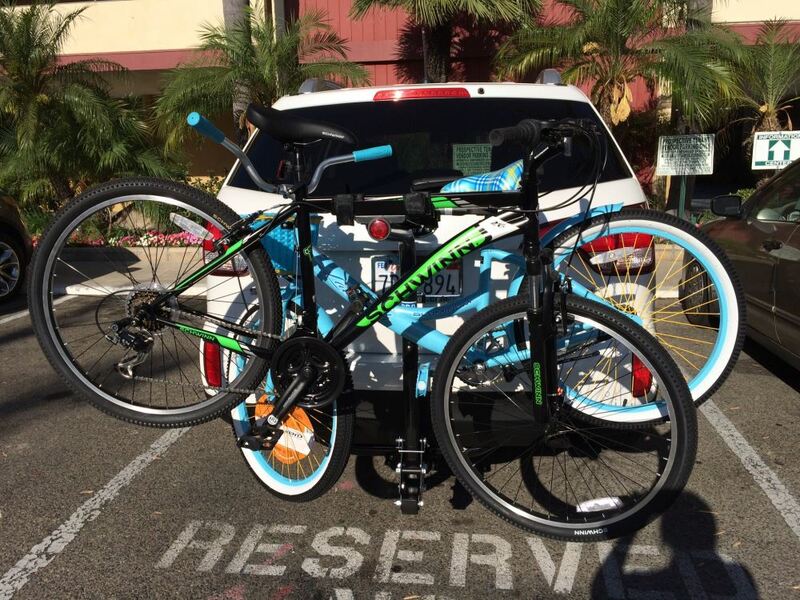 Very good investment and now when we take the bikes on vacation, it is saved money as the cost of renting bikes has been eliminated and in the second year, the money saved has exceeded the amount invested in this rack and the receiver. 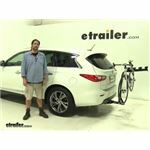 Im still very happy with the bike rack, I plan to use it plenty this summer. 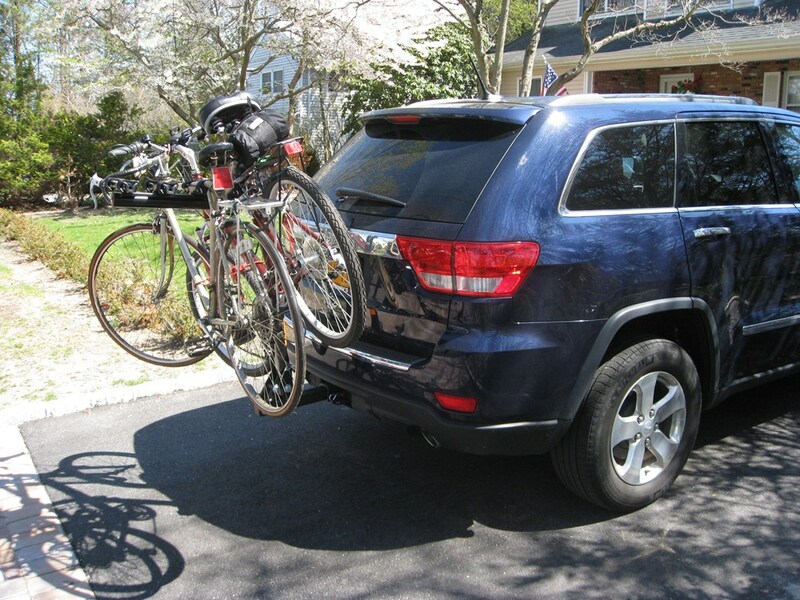 I use the bike rack on our Toyota Highlander and have been pleased with it. 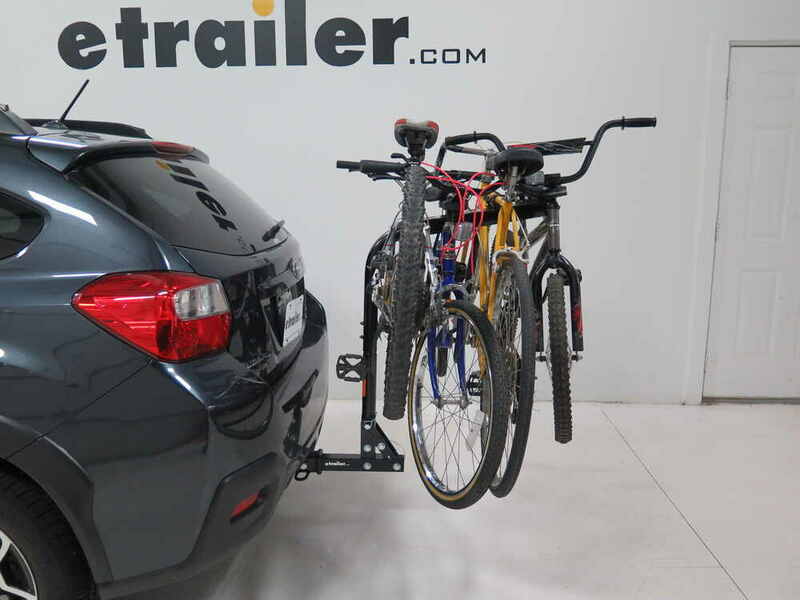 At first I thought a 4 bike rack was more than I needed, but now am glad I bought it instead of a two bike unit. A couple of nuisance items, not a big deal: The threaded locking pin that holds the unit on the trailer hitch, slides in from the left. For a left handed person, it is less convenient than I would have preferred. I was also curious about it being metric instead of standard, again not a big deal. 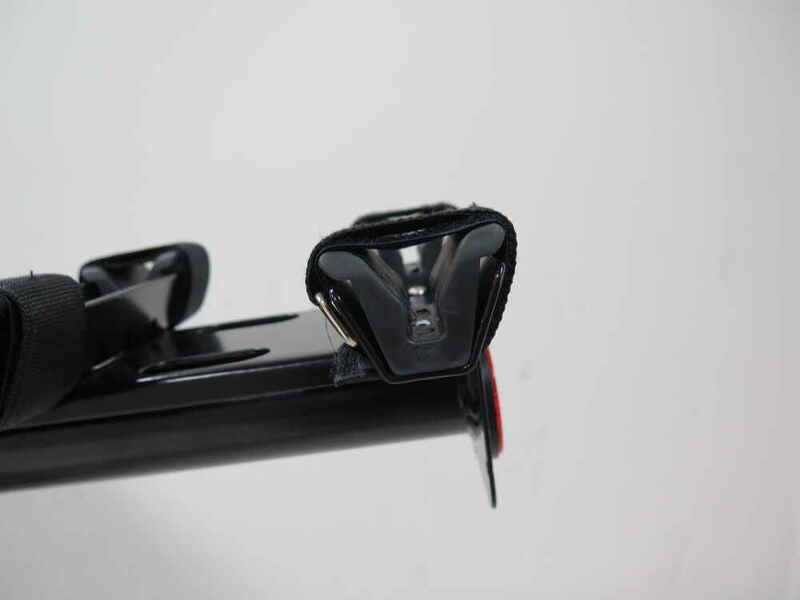 Also - the hole it slides in to is recessed making it difficult to tighten up with anything other than a socket with an extension. 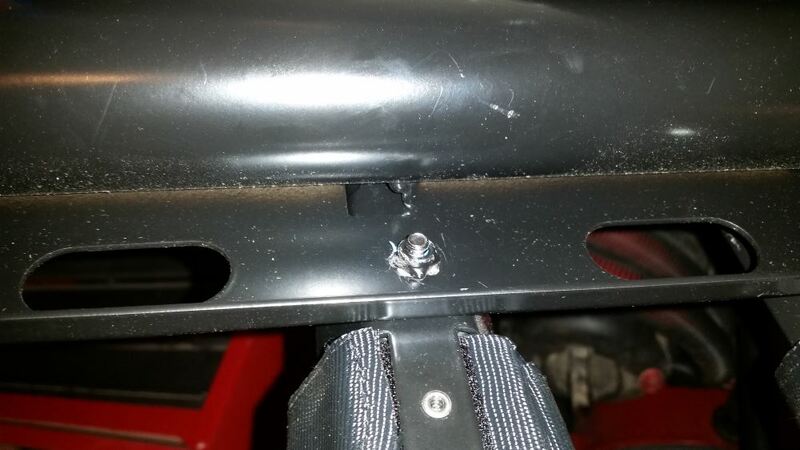 Thinking ahead, it is not much of a problem, but I have to be sure i have a metric socket plus extension with me when it comes time to remove. Having said this, there may be a security reason for this design. I still stand by my original post good product. 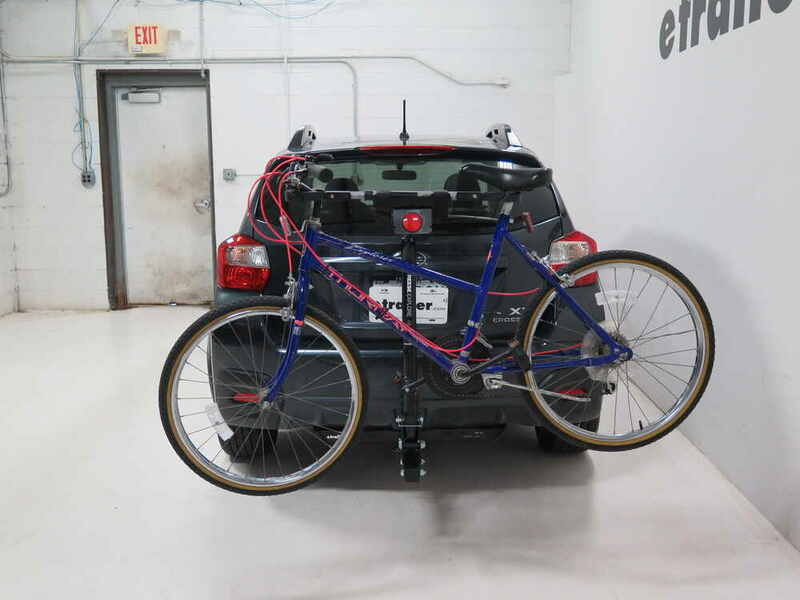 I have a 2009 Honda odysey that I bought the rack for. 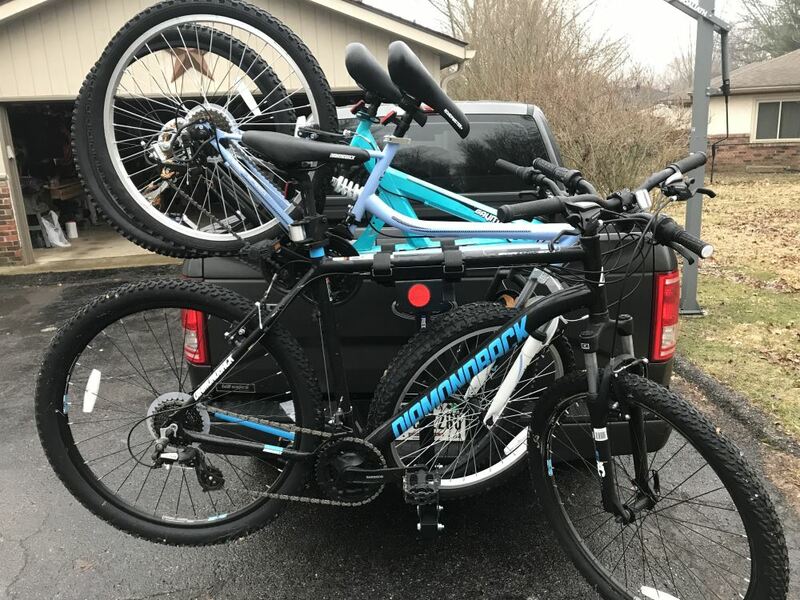 I literally can get going with three bikes in about eight to ten minutes. I love it. 1 year out and this product is still as great as it was when I first got it. No complaints here. I used the rack numerous times this summer. 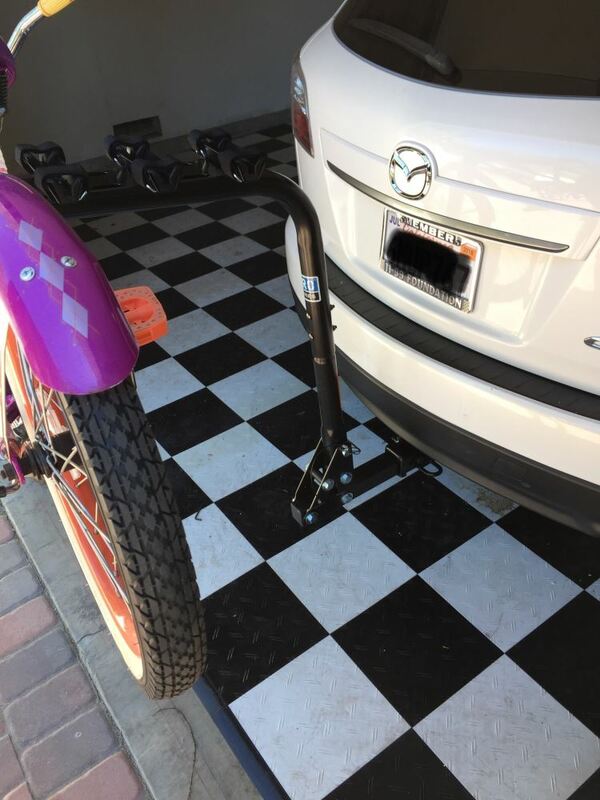 It is easy to install and remove. 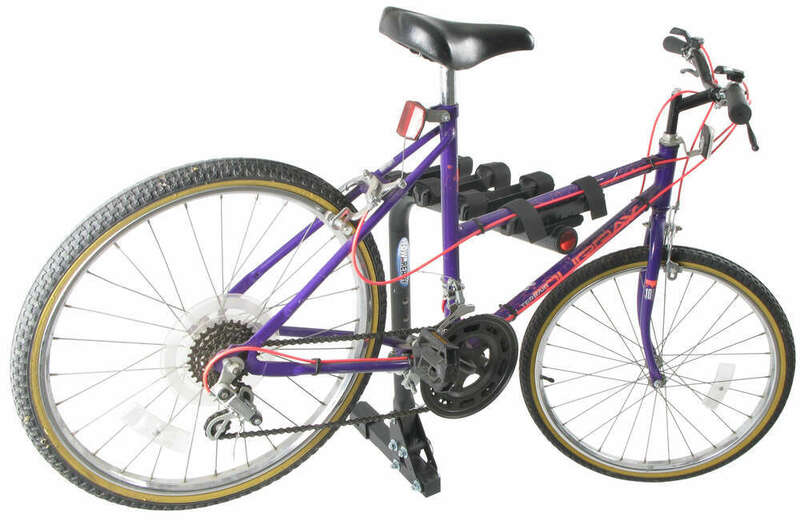 Pretty heavy construction and good locking mechanism. 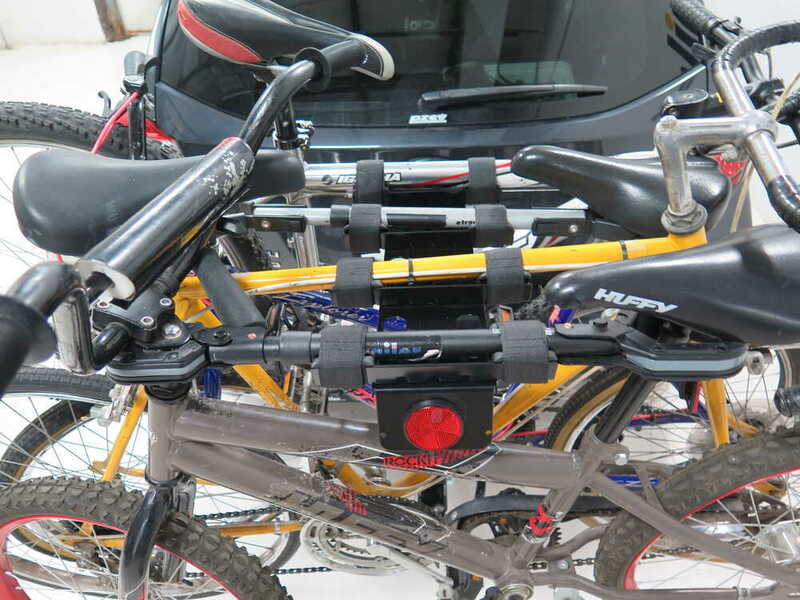 Did not need to buy the adapter bar as bikes fit fine without it but with some maneuvering of bikes. Still satisfied with this purchase. 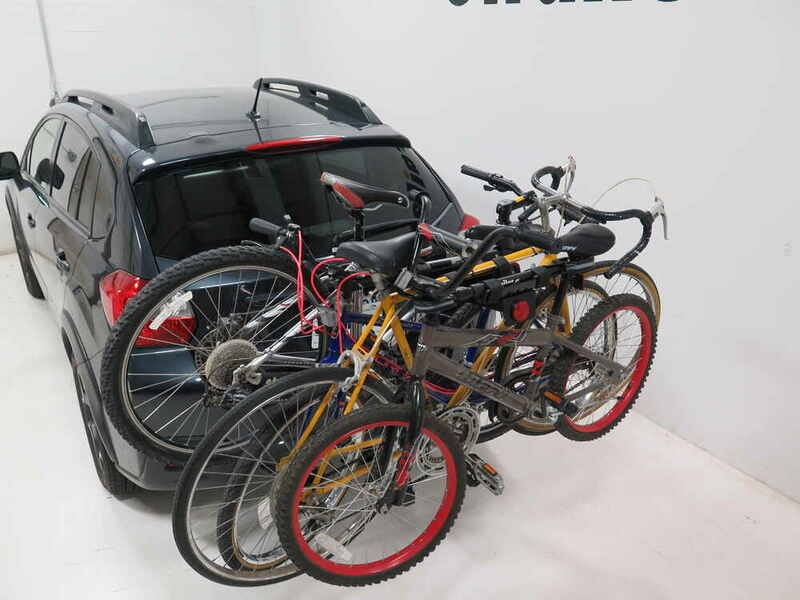 This bicycle rack has worked out great for us. 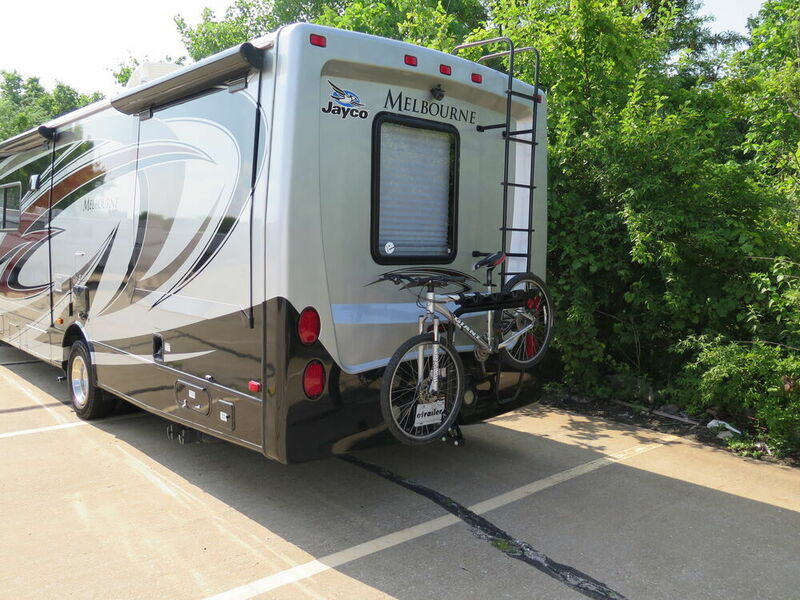 We have used it on long trips and on short trips. 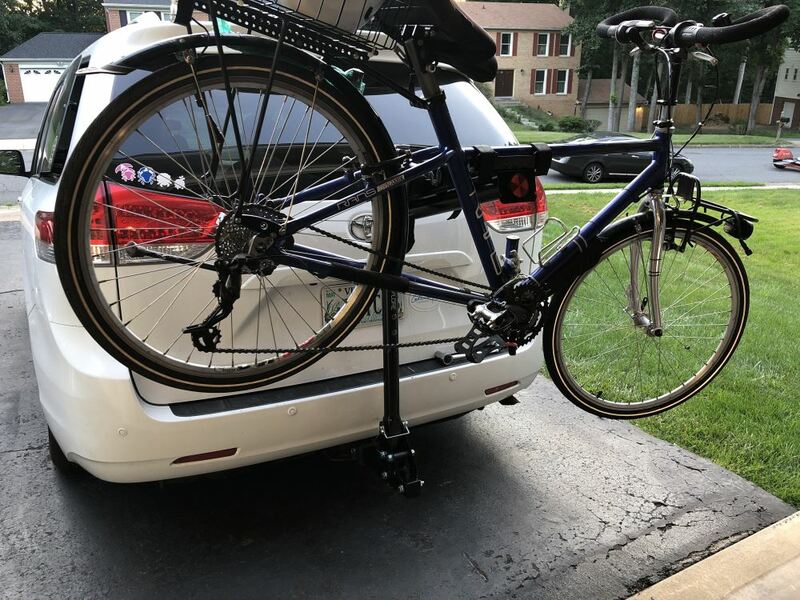 It holds 5 bicycles, solid, but compact... unfortunately, the vehicle that we had with the trailer hitch on it a Honda van got totaled last fall, but I will look forward to using the bicycle rack with the next vehicle that we can put a trailer hitch on. 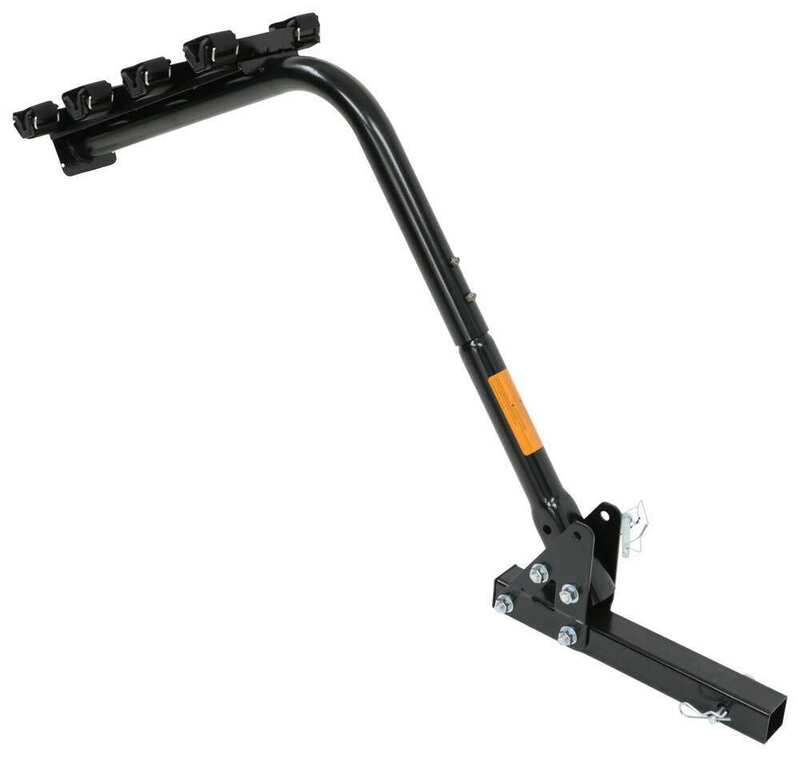 Check out an adapter bar too. 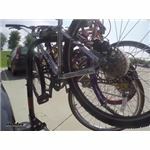 It clamps on to the seat post, just below the seat, and the handle bar tree. 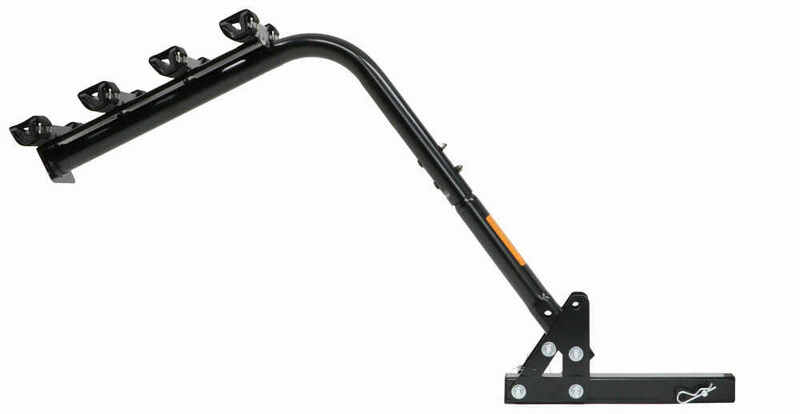 It will provide a straight, level tube to hang the bike by. $22.59 to provide a tube that is long and straight enough to secure to. 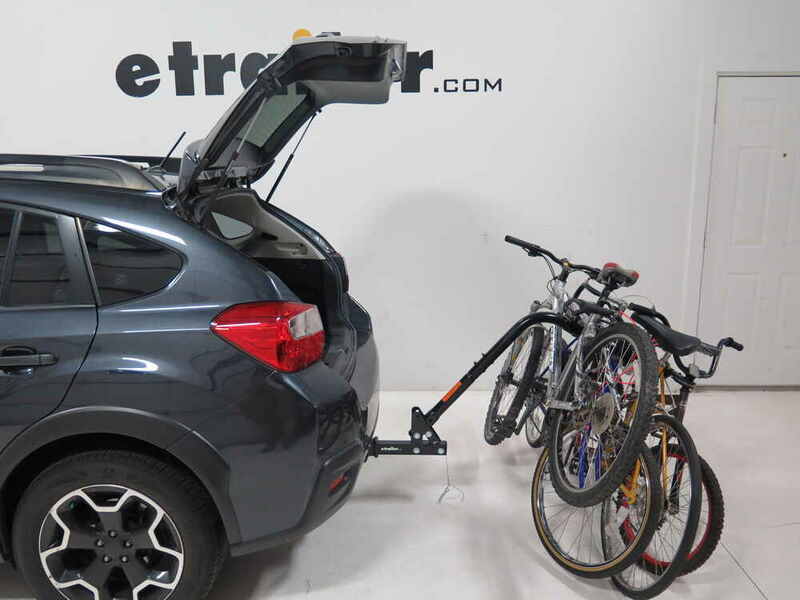 To lock the bikes to the Reese Eclipse Bike Hitch Mounted Folding Rack, # 63124, you can use a Cable Lock, # CAB-10, to secure the bikes to the rack. 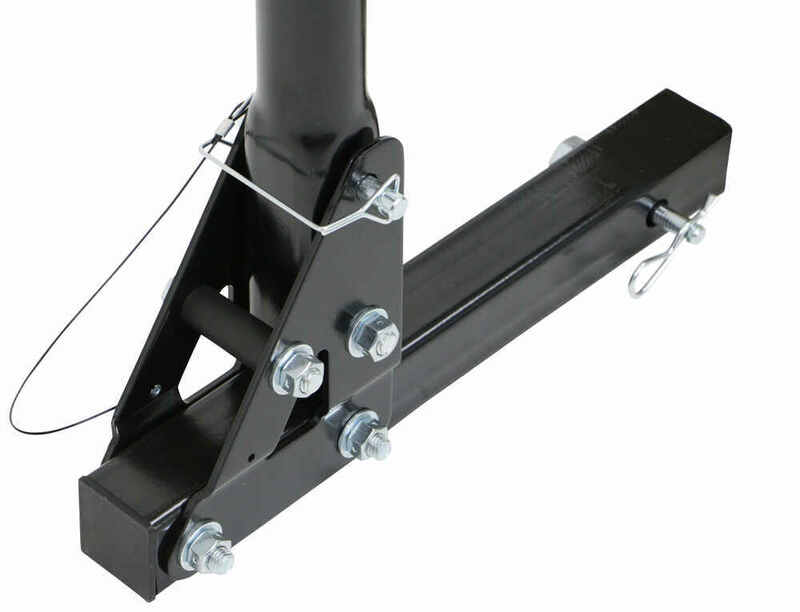 To secure the rack to the hitch, you will need to run the cable through the chain attachment loops in your trailer hitch. 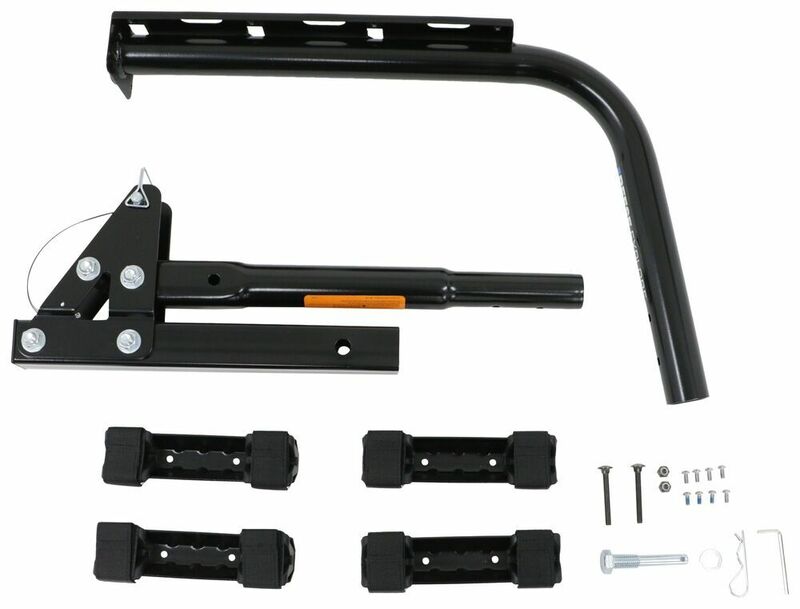 What you will need is a Trailer Hitch Receiver Lock # 5200. 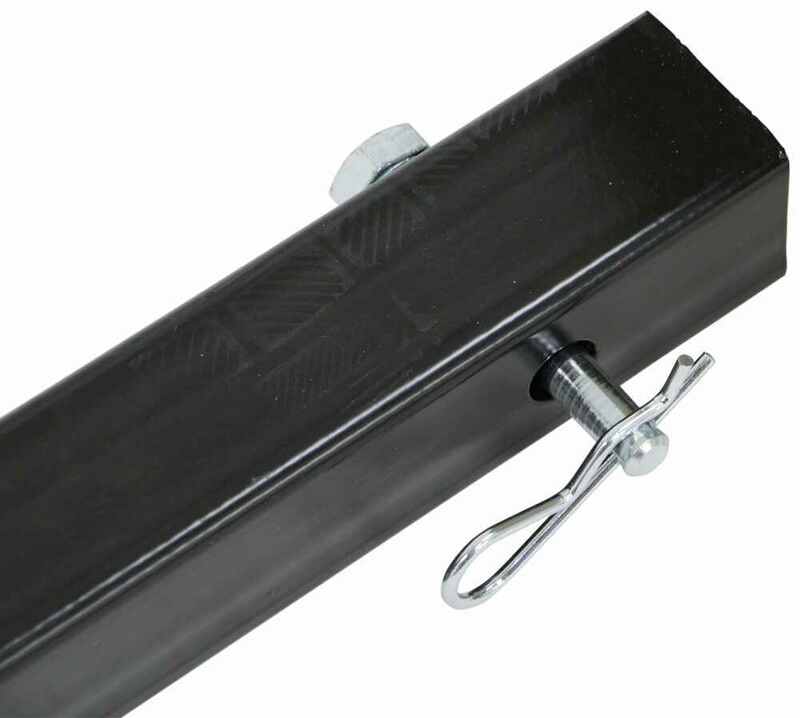 The locking portion of this locking hitch pin will need to get removed and used on the hitch pin from your Reese Bike Rack # 63124.